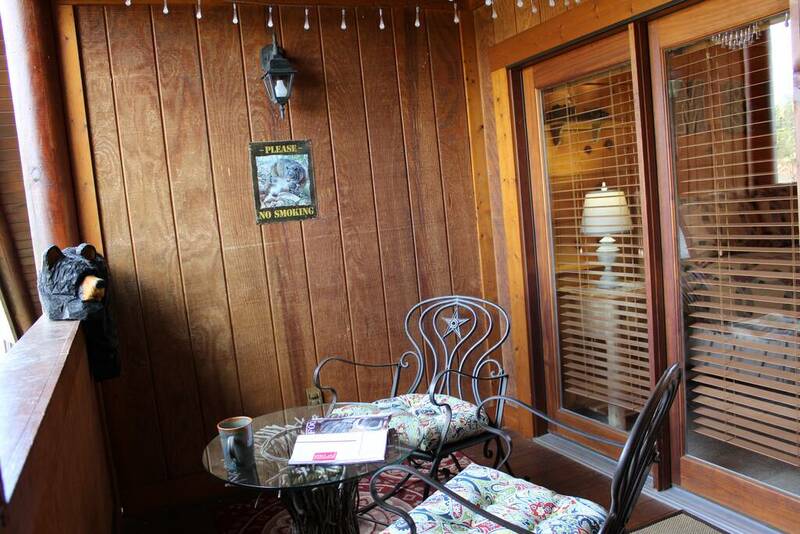 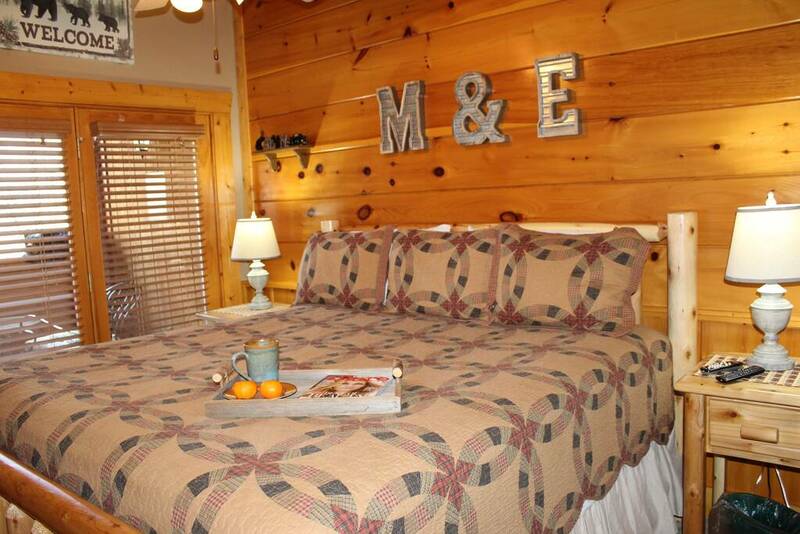 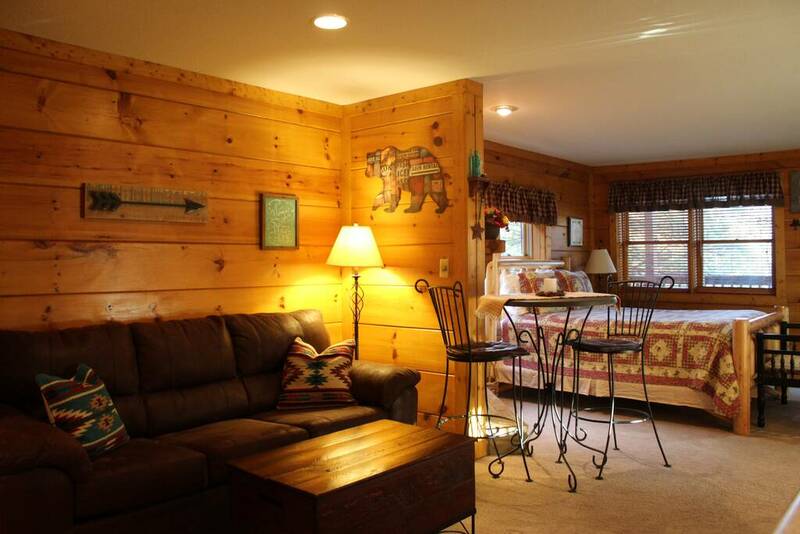 "Southern Deluxe" is a comfortable getaway that's ideal for relaxation, fun, and making family memories! 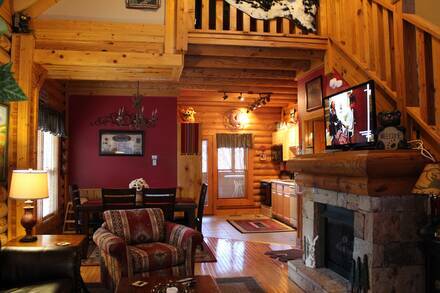 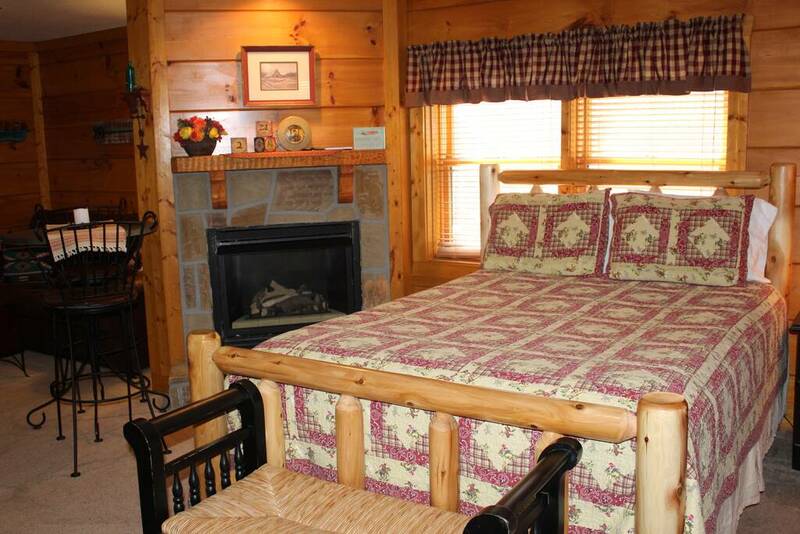 The main level of the cabin has a seasonal gas fireplace, so you can stay warm during the winter months. 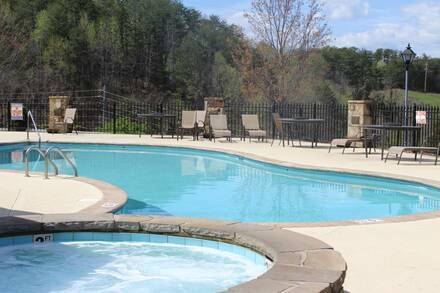 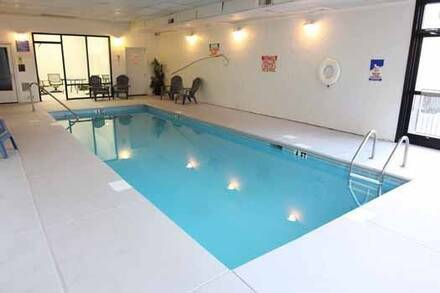 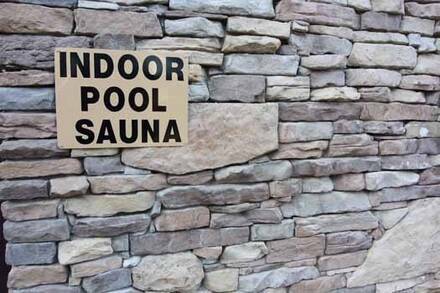 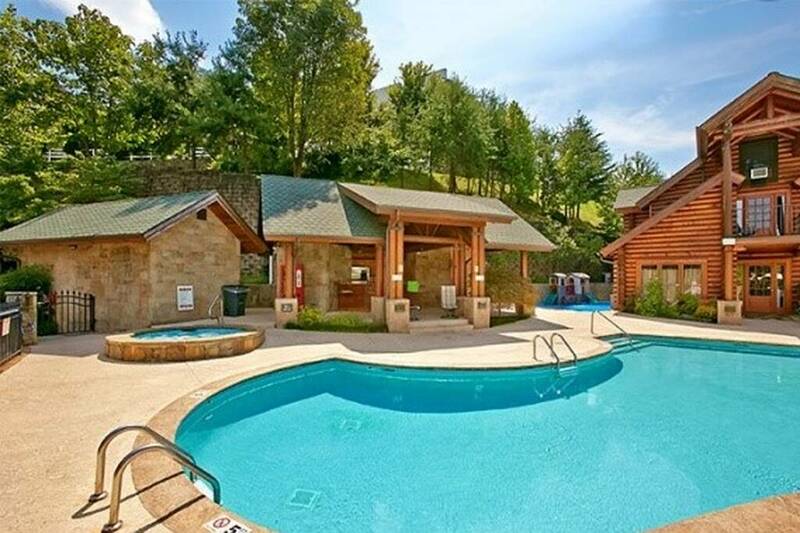 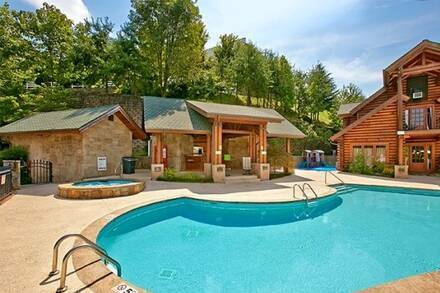 In the summer, you can cool off by swimming at the resort pool. 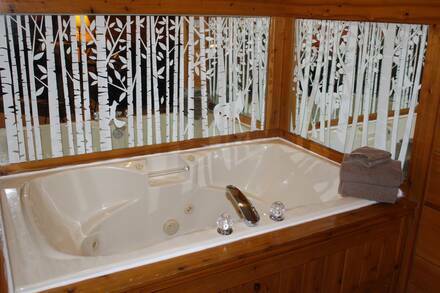 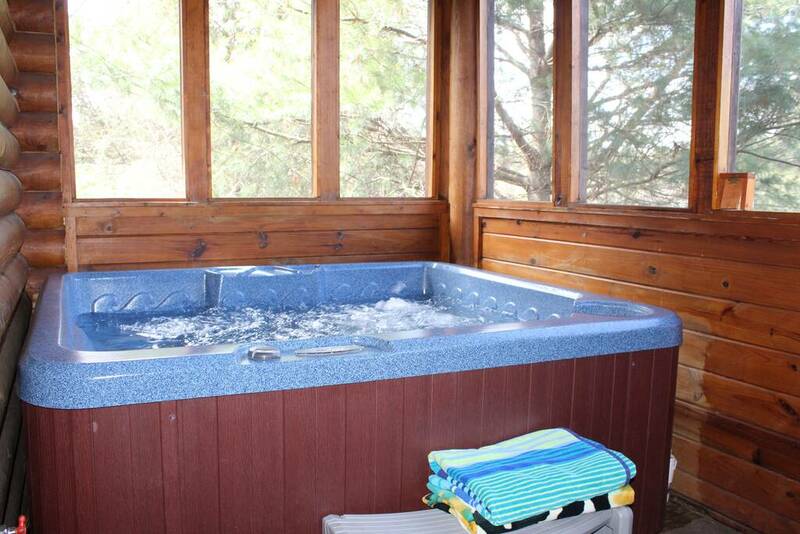 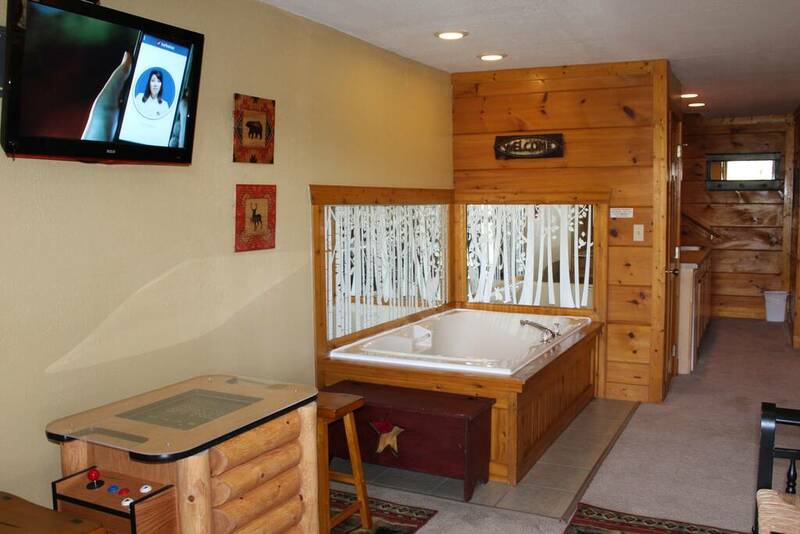 All year long, guests can soak in the warm waters of their hot tub on the deck after a long day of hiking. 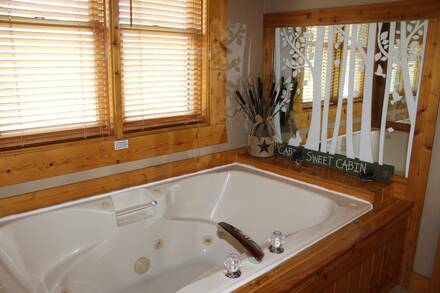 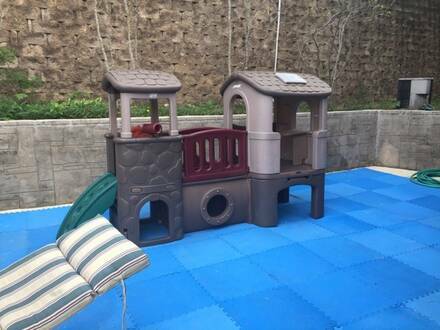 Downstairs, there is a private queen bedroom along with a kitchenette area complete with a mini fridge, microwave, sink and a gas grill for barbequing a family meal during your stay. 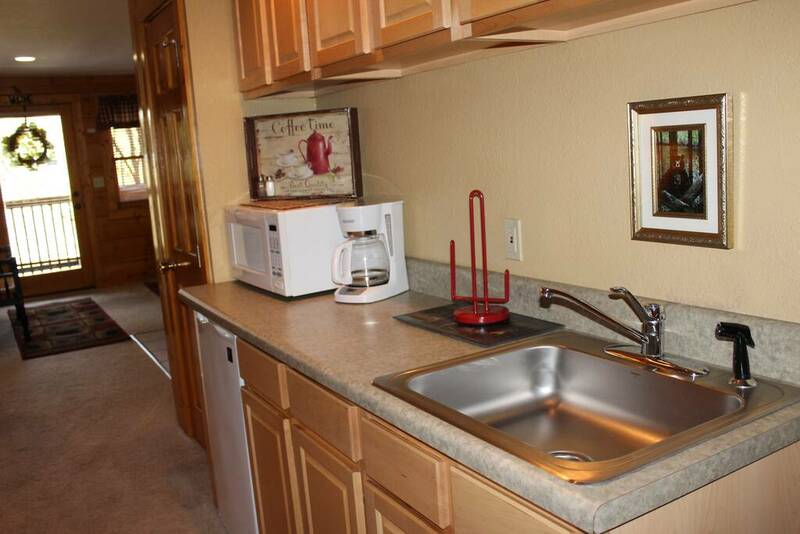 "Southern Deluxe" also offers WiFi Internet and a washer & dryer. 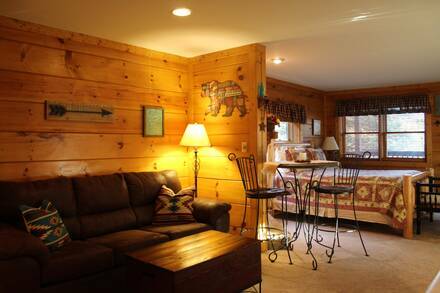 The main floor and the lower level has the sleeper sofas for the additional guests. On the top floor of your cabin, you'll find the master suite, complete with a king-size bed, jacuzzi tub, and a private deck. 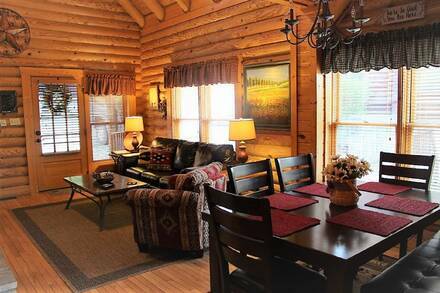 With room for up to 8 guests, this affordable luxury cabin is ideal for a family vacation or a fun trip with friends. 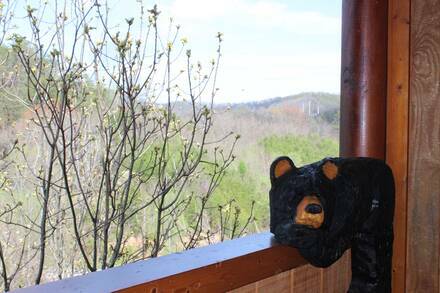 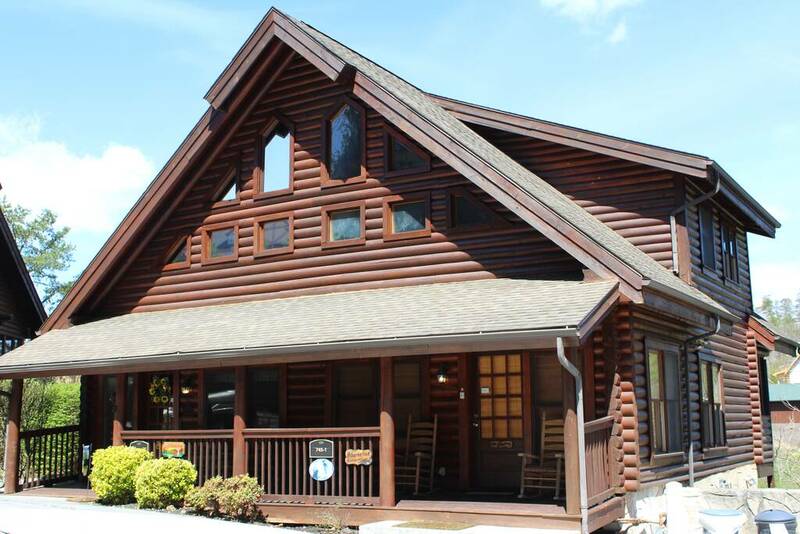 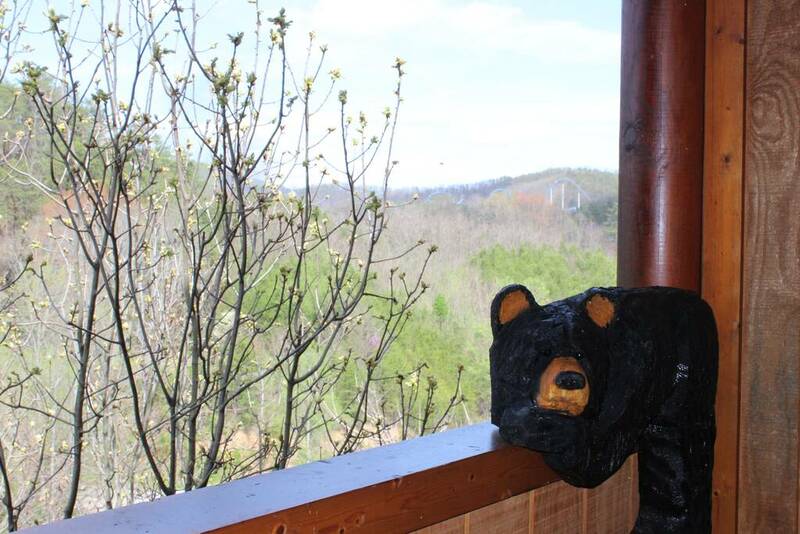 Thanks to this cabin's convenient location in the heart of the Smokies, you will have no trouble finding things to do during your visit! This property is no longer available for rent. 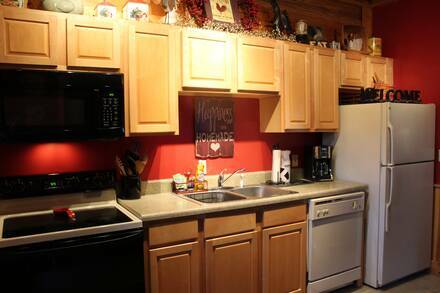 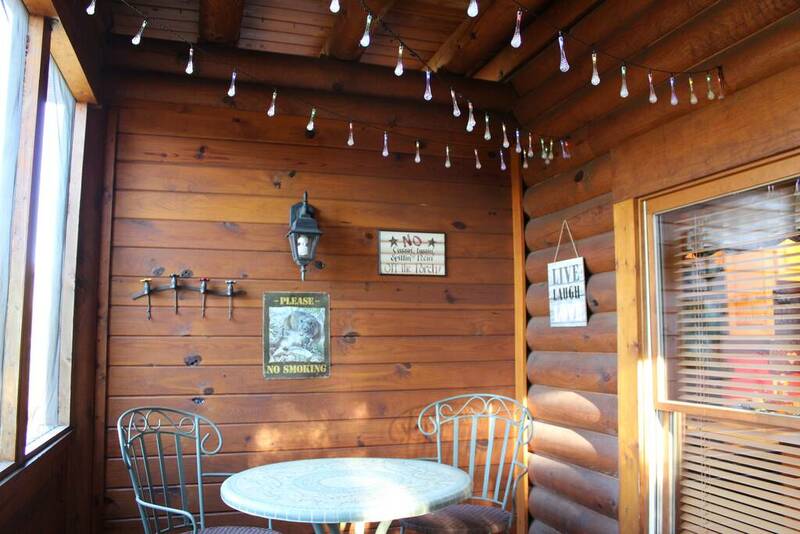 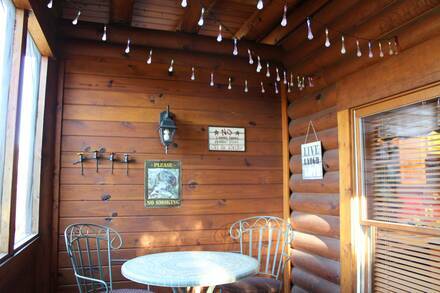 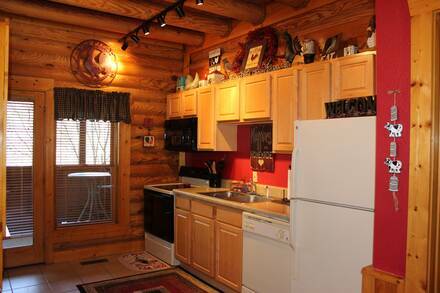 Please click here to view our current cabin rental options.